Dancing on Ice is back after returning last year after a 3-year hiatus. If you’re as excited as us then you’ll probably want to tune in and keep up with all the action. However, if you’re abroad you’ll be pretty disappointed to find you can’t watch because ITV Hub is blocked outside the UK. In this guide we’re going to show you the incredibly easy way you can watch Dancing on Ice abroad from anywhere in the world and on any device. So now you don’t have to miss out on all your favourite skating action. 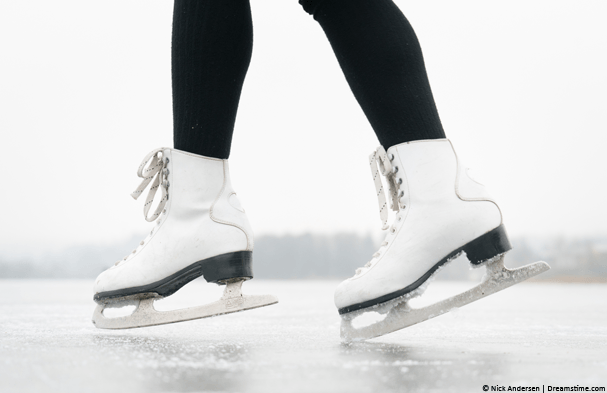 Get your skates on and read on to find out how. Dancing on Ice is being shown by ITV. If you’re in the UK it’s simply a case of tuning into ITV on your TV or visiting ITV Hub to watch online. However, if you’re outside the UK then you’ll be blocked from watching with a pesky message just like this one. The reason you’re blocked is clear, you’re not in the UK. To avoid this block you’ll need to get yourself an app called a VPN and below we explain how to get one and how to use it on all types of devices. If you’ve got a Windows or Mac computer or laptop then this is without a doubt the easiest way to watch Dancing on Ice abroad. Just follow the simple instructions below and you’ll be watching in no time. Download the Windows or Mac app from the ‘Products’ area of the ExpressVPN website. Install it, run it and login. Once connected visit the ITV Hub website. Watch Dancing on Ice using ExpressVPN. It doesn’t take long for the ExpressVPN computer app to connect, once it has just visit the ITV Hub website. If you’ve already got an ITV Hub account you can just sign in as normal and watch. If you don’t already have an ITV Hub account then you’ll need to make one. You need to enter a UK Post Code. You can use your own or if you’re not from the UK you can use any Post Code for example; B45 0HF, L27 5RF, M2 5BQ etc. If you’ve got an Android phone or tablet then it’s pretty easy to watch Dancing on Ice abroad too. It’s best if you’ve pre-installed the ITV Hub app on your device before you leave the UK. However, if you haven’t you’ll need to follow these instructions first to download the ITV Hub app outside the UK. Once you’ve got the ITV Hub app installed on your Android device, follow the instructions below. Visit the ExpressVPN website and sign-up. Go to the Google Play store and search “ExpressVPN” then install the app. Run the app and login. Select Choose Location and then United Kingdom. Open the ITV Hub app. Watch Dancing on Ice on your phone or tablet. You’ll now be able to watch Dancing on Ice both live and on catch-up on the Android app. When you’ve finished simply disconnect and reconnect at any time in the future. Watching Dancing on Ice on an iPhone or iPad is slightly more difficult. Unless you’ve already got the ITV Hub app installed on your phone in which case it’s extremely easy. The difficulty is that installing the ITV Hub app from the Apple App Store when outside the UK is harder to achieve. 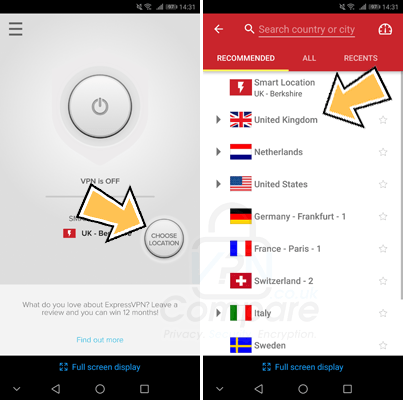 If you’re already outside the UK and want to attempt this then you should read this guide which will help you. Visit the Apple App store and search for “ExpressVPN” and install the app. Run the app and login when required. Once the app has connected open the ITV Hub app. You can now watch Dancing on Ice abroad from anywhere in the world on your iPhone or iPad. When you’ve finished watching simply disconnect, you can reconnect at any point in future as long as you have a valid subscription to ExpressVPN. Are VPN services even legal? Yes, VPN services are completely legal. Their intended purpose is to help you secure your online privacy and as a sideline to this, it also allows you to change your location. It is this location changing that allows you to watch Dancing on Ice abroad. If you love watching celebrities and somewhat questionable celebrities causing themselves minor (and possibly major) injuries then you’ll be pleased as punch that Dancing on Ice is back for 2019. After a 3 year hiatus the number one ice skating show came back last year and is back again this year on British TV. With a VPN as explained above you can watch it from anywhere in the world. This year there are a host of celebrities and some reality TV stars making up the contestants which includes everyone from Wes Nelson, Saara Aalto, Didi Conn, Jane Danson all the way through to Melody Thornton and more. The 11th series of the show kicked off on Sunday 6th January at 6 pm and will be shown weekly from thereon in. All you need to watch Dancing on Ice abroad is to get yourself a VPN. A VPN will allow you bypass the restrictions that block you from viewing outside the UK so you can watch anywhere in the world. 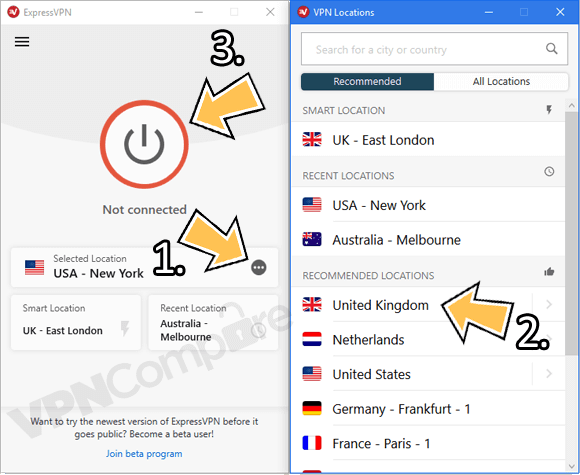 Just click the button below to get a VPN and follow the instructions for your device from earlier in this guide.